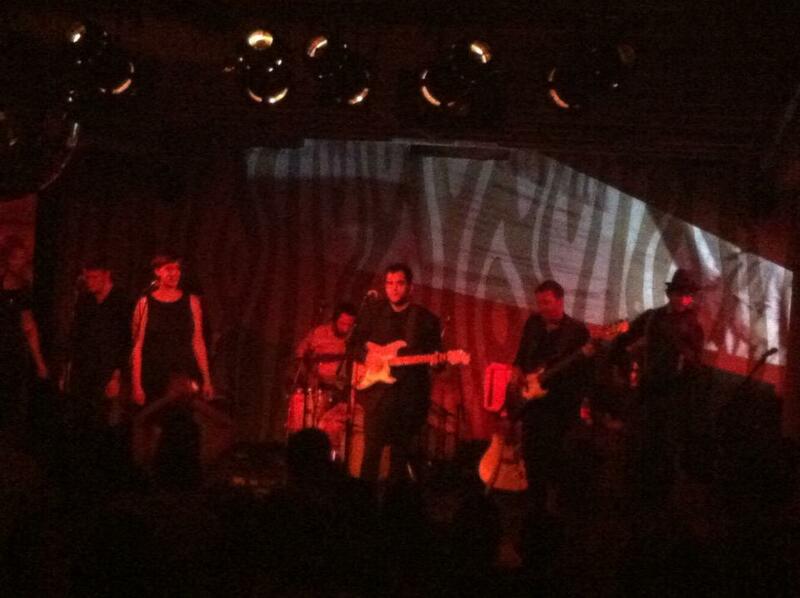 Last Wednesday night I was able to make it out to Doug Fir to check out a few local Portland bands. The newest to the scene was actually the headliner, Bike Thief. That’s saying a lot, considering the quality of the two acts before them. Needless to say, this show was superb. Bike Thief was created by the band’s front man, Febian Perez, who has done an outstanding job of making his songs come to life with an 8 piece ensemble. This being my first time hearing Bike Thief live, I was bit worried that the intimate sound would be lost in the shuffle. I also feared that the crowd would dwindle by the time they came on stage being that it was a Wednesday night. Right from the start my worries disappeared. This show was so good that I expected Tom Waits to jump on stage in a matching black outfit. Not only did people stick around, but they were loving the music. Being a more mellow, folky band, than the other two acts on the ticket, I imagined it would be difficult to follow an “indie” pop rock band like De La Warr and keep the place satisfied. Yet they did that and more. Balloons fell, people danced, and from the smiles on their faces, I could clearly see that Bike Thief had made a lasting impression on the crowd. The professionalism of this band is commendable given their short time together. Be on the lookout for big things in the future. http://bikethief.bandcamp.com.